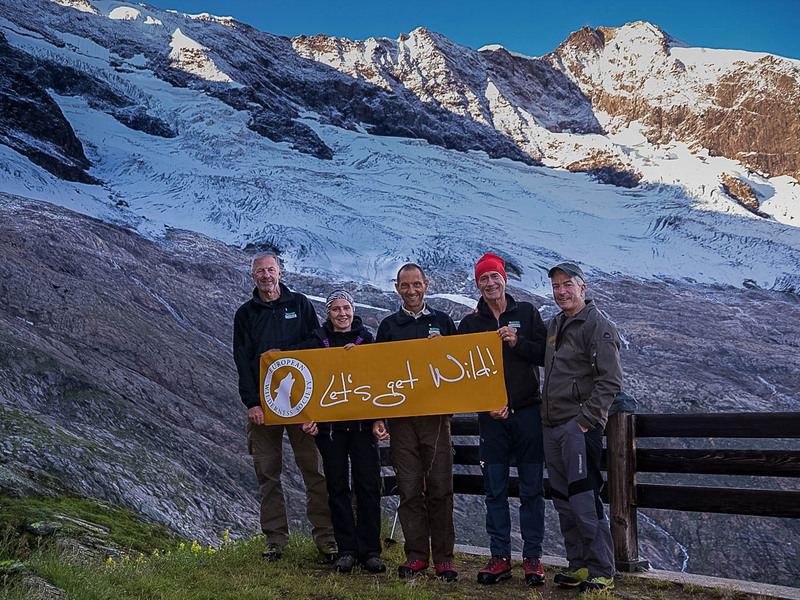 From 28th July – 6th August two auditors of the European Wilderness Society visited the Hohe Tauern National Park in Salzburg for the Full-Audit assessment of the proposed Wilderness area at the northern slopes of Salzburg’s highest peak the Großvenediger. The base of this wilderness assessment in the National Park was Mittersill in the district of Zell am See/Pinzgau where the National Park Administration is located. During these 10-days the auditors visited all four valleys of the proposed wilderness area: the Krimmler Achen-Valley, the Ober- and the Untersulzbach-valley and the Habach-valley. All of the assessment trips to the proposed Wilderness were accompanied and supported by the National Park Director Wolfgang Urban or the Deputy Director Ferdinand Leiner. This allowed us to discuss most of the European Wilderness Quality Standard – Criterion and Indicators on site. Stays on the Warnsdorfer Hütte in the Krimmler Achen-valley and on the Kürsinger Hütte in the Obersulzbach-valley gave a good impression of the proposed Wilderness and simultaneously assess impact of tourism and other relevant sports activities e.g. climbing and ski-touring in these araes. Both facilities are located very close to the borders of the Wilderness and provide traditional starting points to climb the jagged and glaciated peaks around (particularly Großvenediger). An overnight stay under the stars in the Wilderness together with Park Director Wolfgang Urban provided information on impact of retreading glaciers, spontaneous restoration process of the previously used land by grazing, hunting and in the lower part of the proposed Wilderness also in the past by forestry. This was also a good opportunity to assess the light and noise pollution. The audit of the Wilderness in the Hohe Tauern National Park provided all necessary information and data. Field observation and frequent discussions helped to clarify many issues and answered difficult questions, such as legal format of this wilderness area, implementation of non/intervention management, tradition and current model of tourism use, very complex ownership issue, etc. At the end the final borders of the approximately 8400 ha large wilderness area were agreed upon and together with deputy governor of Salzburg Mrs. Astrid Rössler the plans for a legal framework of the wilderness area were discussed. All in all the auditors were impressed of the high quality of the proposed Wilderness at the northern slopes of Salzburg’s highest peak the Großvenediger and appreciated the commitment of the responsible National Park staff for the topic of wilderness. A new best-practce Wilderness for the wilderness conservation at the top of the Austrian Alps was created.